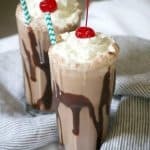 This Double Chocolate Malted Milkshake is the perfect cold treat to satisfy any chocolate craving on a hot summer’s day. 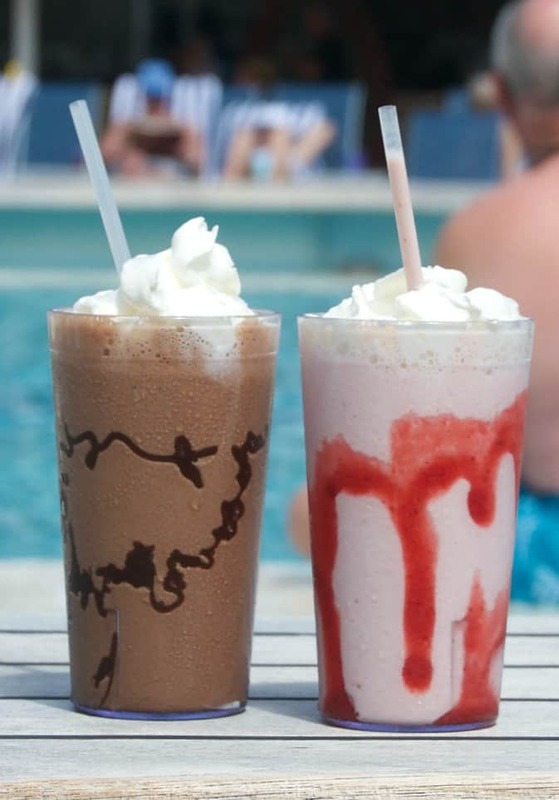 Milkshakes are one of my favorite things. *This post is sponsored by Princess Cruises and as always, all opinions are 100% my own. It started at a very young age. I don’t remember when exactly, but I know I have my mother to thank for passing her love of them on to me. Coffee is most definitely my favorite, but if that isn’t available, I’ll go with chocolate, strawberry or vanilla. In that order. This past March and beginning of April, I was given the opportunity to go on a 10-day Panama Canal Cruise with Princess Cruises. It truly was the experience of a lifetime and is something I firmly believe everyone should put on their Bucket List. I took our oldest daughter, Lexi with me to have some special mother daughter time. I thought this would be the perfect opportunity to celebrate her 25th birthday which coincided with our zip lining in Costa Rica. She’s also leaving for Germany next month to be an au pair for a year, so I was thrilled that we’d be able to make some great memories and have some wonderful quality time before she left. As we toured the Coral Princess soon after boarding, I was excited to see an ice cream bar near the pool on the Lido deck. After all, vacation just isn’t vacation without ice cream, even if it’s a Panama Canal Cruise! So, with great memories of a truly wonderful trip, I just had to recreate it here at home. It’s so easy, so delicious and has been THE perfect refresher in this scorching Arizona heat! I can’t recommend a cruise with Princess Cruises enough. The food, the staff, the service, the excursions, activities on board all were top notch! Before we departed, I thought 10 days was going to be too long to be on a ship, but it really was absolutely perfect. Not too long and not too short. It was also amazing because I was able to spend it with a group of really fantastic people and some of my best blogging buddies. It is definitely a trip I would love to take again and I am so looking forward to cruise adventure with Princess Cruises. Take a look at this short video to see some of the highlights of our trip and then book your next cruise with Princess Cruises. 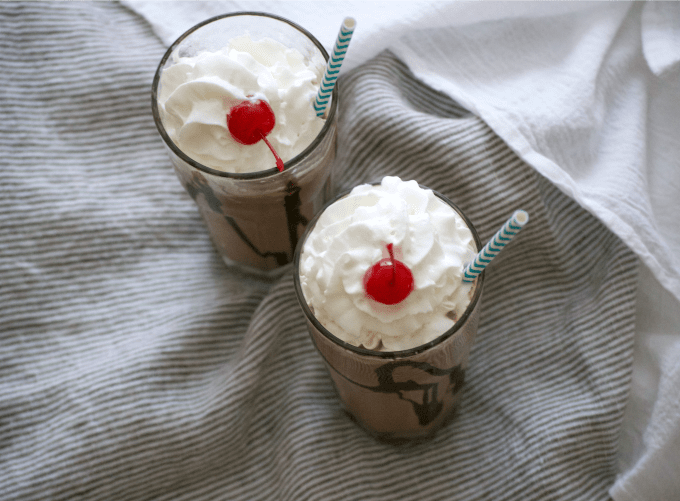 This Double Chocolate Malted Milkshake topped with whipped cream and a cherry is the perfect cold treat to satisfy a chocolate craving on a hot summer day. In a blender, combine all ingredients, adding less milk for a thicker shake or more for thin. 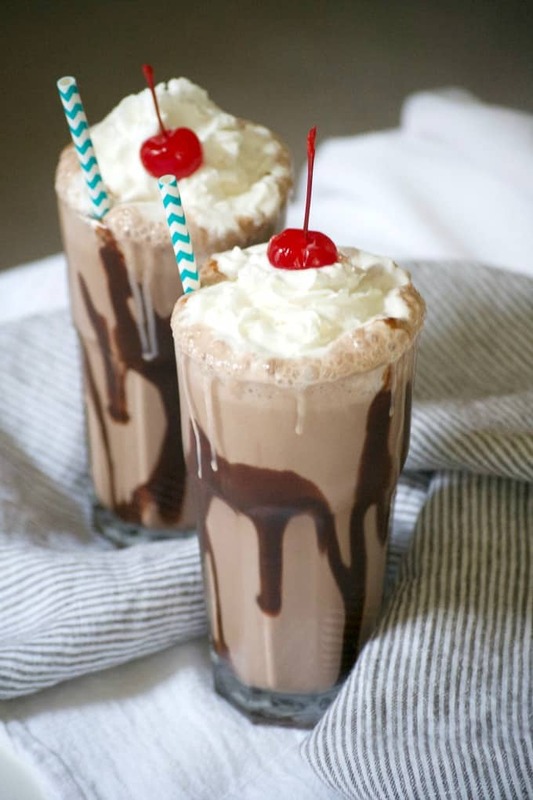 Drizzle some chocolate syrup around the insides of each glass. We enjoyed a lot of great food while we were on the cruise. There was an abundance of fresh fruit and Katrina from In Katrina’s Kitchen was inspired to make this Dessert Fruit Dip. Sandra from A Dash of Sanity made the Nutella Donut Recipe that everyone fell in love with from the International Café. Erin at Dinners, Dishes and Desserts recreated our dinner at the Crab Shack with her Sheet Pan Shrimp Boil.